A 17-year-old high schooler from Florida is the latest black girl to be reprimanded for wearing her hair in traditional black style. All over the world, black girls have their bodies, words and, increasingly, hair policed by those who have no clue. 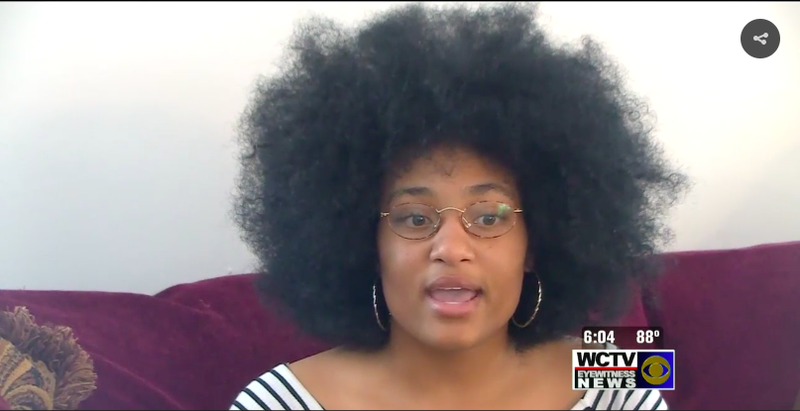 WCTV reports that Jenesis Johnson, an 11th-grader at North Florida Christian School, a private school in Tallahassee, Fla., has been wearing an Afro for the last seven months. About two weeks ago, a teacher asked Jenesis in front of the class, “How long are you rocking that hairstyle?” Other students then began asking her how she takes care of her hair. Two days later, the junior was called into the assistant principal’s office. “She said, ‘Your hair is extreme and faddish and out of control. It’s all over the place,’” Jenesis recalled. Jenesis and her mother, Lisa Johnson, were told that Jenesis could finish the last week of school for this school year, but if she didn’t change her hair, the school would give the family a refund for the next semester. When it was all said and done, this young girl’s beautiful, voluminous, natural hair was deemed “extreme,” “out of control” and a distraction. They ’bout to get sued.